Pastor Joel “Jody” Wells has been a member of the Titusville community and Path Apostolic Church since 1972. While pursuing an education and career, he served the church as a musician and singer; Children’s Ministry teacher; Student Pastor and personal Bible study instructor. It was not until after earning a Bachelor’s Degree from The University of Central Florida and building a 16-year career with the National Aeronautics and Space Administration (NASA) that Wells realized he was being called to fulltime ministry as a local pastor. He considers himself privileged to have worked as a Procurement Analyst, News Media Spokesman and Legislative Liaison for the world’s leader in human space flight, but now sees his time with NASA as preparation for an even “higher” calling. After completing the requisite study and service time, Wells was locally licensed through the United Pentecostal Church in 2001; generally licensed in 2003; and ordained in 2006. Path Apostolic Church unanimously elected Wells Assistant Pastor in 2003. Pastor Wells then assumed the Senior Pastorate in June 2007 upon the retirement of the newly named Pastor Emeritus Reverend Hal Kennedy. Pastor Wells is a firm believer in equipping and empowering leaders. He now partners with an outstanding Ministry Team of highly qualified and passionate ministers and leaders. With their help, the church enjoys an intense revival in prayer and worship and gives God the glory for unprecedented growth in demonstration, discipleship and diversity. Pastor Wells is a husband, father, and pastor – in that order. He has an abiding belief that marriage and parenthood are God’s metaphors for love and authority on Earth and are the building blocks of His church. 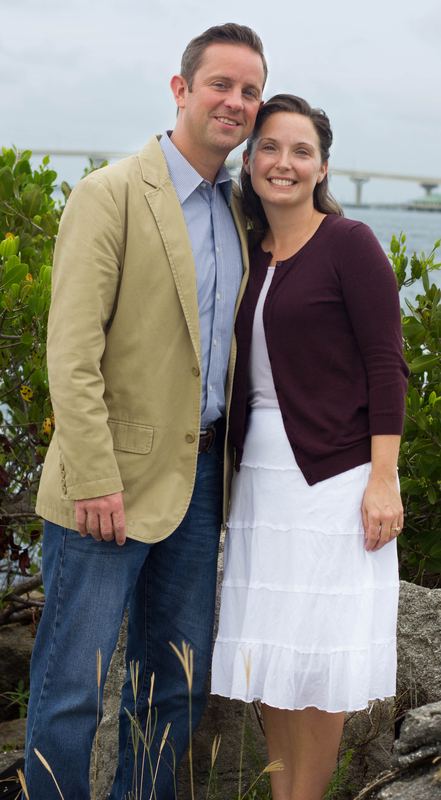 His beautiful and brilliant wife Christie is an integral part of the church leadership structure as Women’s Ministry director, but continues to serve in countless ministry roles throughout the body. She is a phenomenal mother to their two sons, Jace and Judah, and a shining example of humility, power, and holiness. Their family endeavors to exemplify the church’s vision on a very personal level: Their passion is to experience, live, and share the POWER, TRUTH, and LOVE of Jesus Christ every day!